Cook the rice noodles for approx. 5 mins. in boiling water, rinse under cold water and drain. 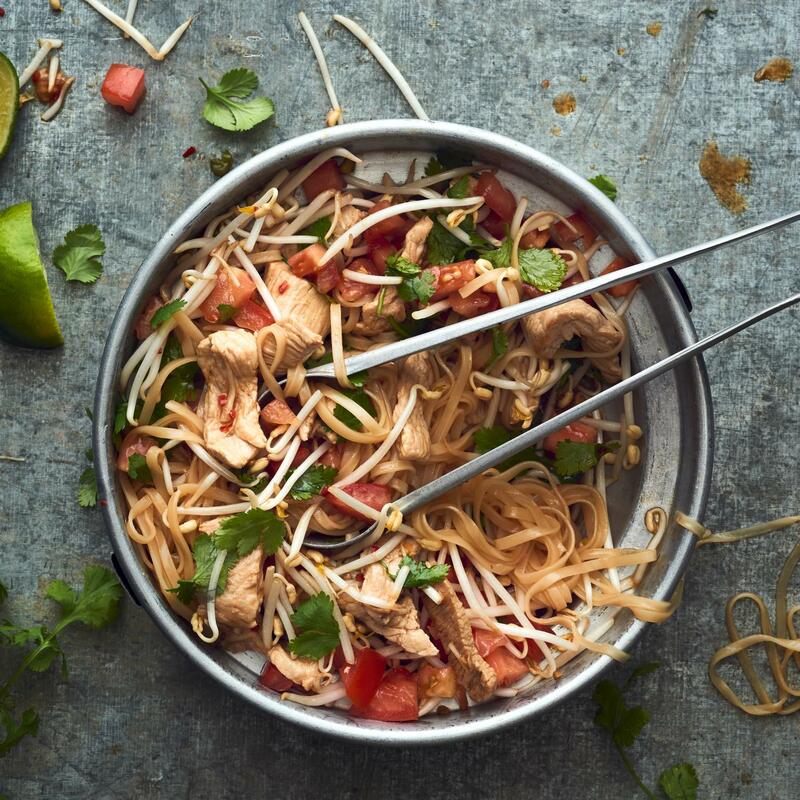 Shortly before serving, combine the noodles, tomatoes, bean sprouts and coriander with the dressing. Heat the oil in a non-stick frying pan. Stir fry the meat in batches for approx. 2 mins. Remove the pan from the hob, return the meat to the pan, stir in the lemongrass and soy sauce, mix the meat with the salad and arrange on plates. Garnish the Asian noodle salad with a little coriander.